The Scottish Executive axed the proposal to add fluoride to the country’s water in favour of better targeted dental services. Councillor Julia Southcott, Convener of East Dunbartonshire’s Development & Environment Committee said “Reusing the canal for transporting freight is one of the key sustainability options being investigated.” http://www.waterscape.com/news/nid45 x Since then, though constrained by lack of funding, the Scottish government has endeavoured to preserve its shipbuilding capacity and maintain and use its waterways. The Timberlink project, collaboration between ports, British Waterways and forestry companies, provides a good example of shifting traffic to waterways. The major buyers of domestic production are the supermarkets and their suppliers who control most of the food bought for home consumption. Directly or through the food supply chain farmers must sell to large multinational businesses. The current distribution of resources within the food supply chain is out of balance with effort and risk. The food supply chain represents a market failure. There is need to increase the bargaining power of primary producers if they are to survive. The power of the multiples and the detached attitude of government seem likely to result in an increasing proportion of UK consumption being sourced from outwith the UK. 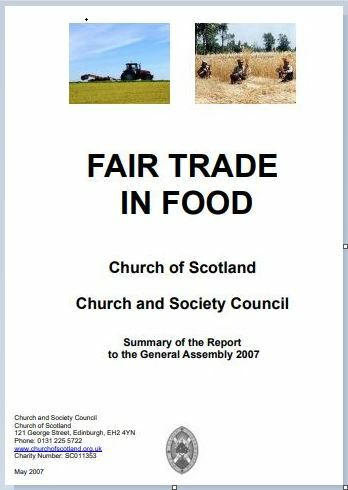 To pay more for food than the market rate might seem contrary to supermarkets responsibility to their shareholders. However this market rate is determined by these major buyers. Change in practice would require a revision of the current concept of corporate responsibility. The Stirling–Alloa–Kincardine rail link , which was re-opened for the first time in almost 40 years, is delivering economic, social and environmental benefits to the communities directly concerned and to the wider Scottish economy. 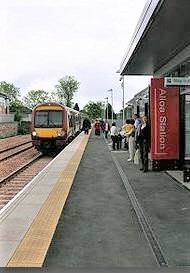 The government website adds that there are direct hourly passenger services between Alloa, Stirling and Glasgow Queen Street and peak-time services to and from Edinburgh, Monday to Friday. The line also offers freight services along the line and provides the option for diverting freight trains from the existing, longer route via the Forth Bridge. Other measures were noted. The devolved government in Scotland has acted energetically to improve the lives of many electors. Scottish measures to help the frail elderly and students are well known but far more is being done. The Scottish Government announced that the new South Glasgow Hospital would be publicly funded instead of using the expensive and often unreliable PFI system. Tidal and wave generated renewable energy, hydropower and offshore wind is being backed. Alex Salmond explained that it has no need to install more nuclear power, ‘a dirty technology’, in which it has no advantage. More energy is now generated in Scotland by renewables than nuclear power and exports of electricity to UK rose by 50% last year. Remote crofting communities are being enabled to flourish and Scots have been given the right to buy land they’ve worked for years. The Agricultural Holdings Review which was launched to examine the situation of land ownership and use, tenant-owner relationships, and the relevant legislation eventually led to Land Reform (Scotland) Bill to the Scottish Parliament passed by the Scottish Parliament on 16 March 2016. It created a Community Right to Buy for Sustainable Development. Like the earlier Crofting Community Right to Buy and the Community Right to Buy abandoned or derelict land, the Community Right to Buy for Sustainable Development does not require a willing seller but allows ministers to compel landowners to sell if they decide that the sale will further sustainable development in the area. MSPs backed an outright ban on fracking proposed by Scottish Labour. There are ongoing calls for first minister Nicola Sturgeon’s temporary prohibition or moratorium on the technology being used in Scotland to be made permanent. A cross-party coalition of Scottish politicians urges Britain to uphold the rule of law and recognise the state of Palestine. On March 31, The Sunday Times reported that a group of nine MSPs has called for dignity in death for people who face ‘terrible suffering’ called to mind many other reports of beneficial developments in Scotland. The July news that Ireland was set to become the first country in the world to divest public money from fossil fuel assets following a landmark vote in the Dáil was widely reported. Ireland was to become the first country to sell off its investments in fossil fuel companies, after a bill was passed with all-party support in the lower house of parliament on Thursday (12 July). €318m (£282m) shares in 150 coal, oil, peat and gas companies will be sold ‘as soon as practicable’ ­– probably within five years. The New York Times added that the vote in the Irish Parliament follows a recommendation by Norway’s central bank in late 2017 for its $1 trillion sovereign wealth fund to drop its oil company investments and that the Church of England has voted to sell its assets in fossil fuel companies that have not “aligned their business investment plans with the Paris Agreement” to reduce global warming. We all heard the July news that Ireland might divest, but the September stage attracted little attention – indeed the December news was only found here after a deliberate search. 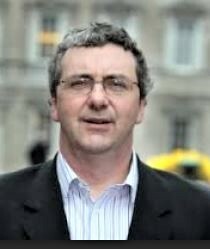 The Fossil Fuel Divestment Bill, the country’s sovereign fund (the Ireland Strategic Investment Fund), is now committed to divesting its holdings of fossil fuel companies within five years and to make no future investments in the industry, in order “to precipitate a timely decarbonisation process in line with Ireland’s climate change commitments under Article 2 of the Paris Agreement”. The bill was signed into law by the President of Ireland Michael Daniel Higgins on December 17th 2018. A year ago there was a post on this site about the residents of Hawes who launched their own Little White Bus in 2011 to meet the trains at Garsdale station seven miles away. Today they have a fleet of 10 minibuses that rely on 53 volunteer drivers and nine part-time staff, ferrying 65,000 passengers a year. They also have a Land Rover to take children from the most remote farms to and from school. On 20 July 2016, Oxfordshire county council scrapped all subsidies for bus services and 54 routes stopped altogether while many more were reduced. Dozens of villages in Oxfordshire had no bus service at all. Witney’s town service had been run by Stagecoach before the subsidies were cut and The Guardian reported that local Labour councillor Laura Price who saw the strength of the opposition to losing the bus service and the distress it was going to cause, began to wonder what could be done. ‘Frantic tin-rattling’ raised £18,000 that bought an old bus and at the start of 2017 West Oxfordshire Community Transport co-operative was set up. People paying £1 become voting members, drivers get a proper living wage, and profits are reinvested in the business. Like the Hawes initiative, after 16 months it not only breaks even, it’s expanding. The fleet has gone from one to four buses (none less than 10 years old). The town service runs “like a Swiss watch”. Other villages petitioned the co-operative to run a service for them and this February it began running a 210 service to Chipping Norton. 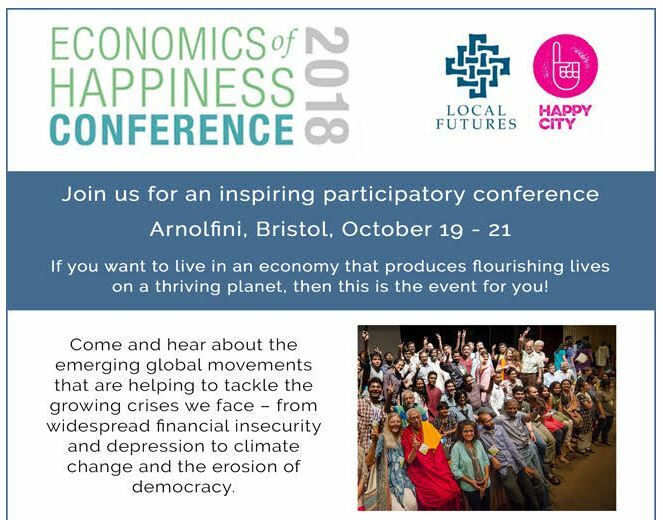 ISEC is working in collaboration with Happy City and the former mayor of Bristol, George Ferguson. Jonathan Dimbleby will be chairing. 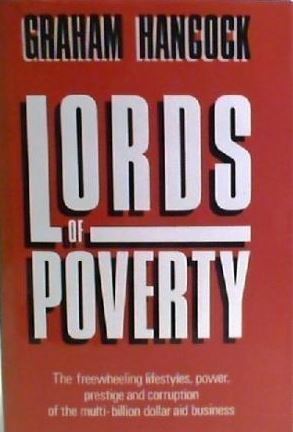 In his seminal book, Lords of Poverty, Graham Hancock presented a chilling exposé of the mainstream ‘aid game’ and the ‘well-heeled czars who control this multi-billion-dollar industry’. and staffed by well-motivated and capable local people. 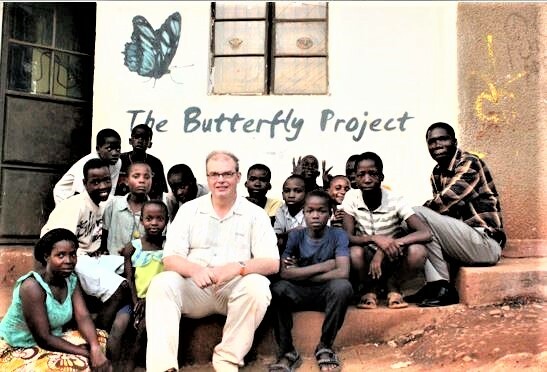 The Butterfly Project was founded in 2009, recruiting able and socially concerned children from rural Lyantonde and slum areas in Kampala. The initial recruits are now young changemakers, winning awards, and establishing social projects, attracting international funding for their work. They are creative thinkers, working to solve some of Uganda’s social problems, forming a team used to working with others on projects, most recently the Slum Run for children working in quarries, the Active Youths magazine and the Changemaker Band. There are now almost 40 young changemakers who are in or have completed their training, which starts with a one-year intensive programme in Kampala, then continues with support and guidance, through giving opportunities to deliver and participate in youth programmes, as they go through school. 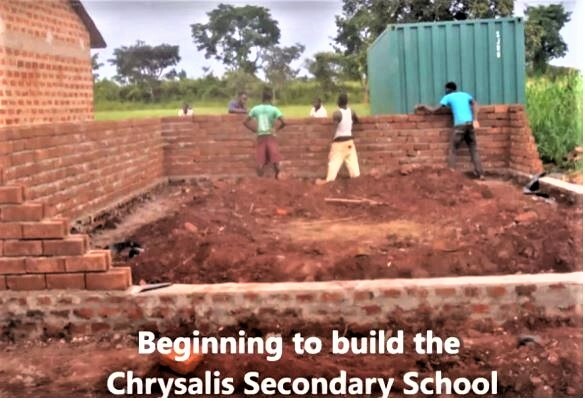 In Year 1, tuition is paid for Butterfly members in a school in Kampala, but the plan, for all subsequent years, is to teach members in a specially empowering school, to be called the Chrysalis Secondary School, which will encourage its students, whether they are a member of the core project or not, to see themselves as architects of change in Uganda, just as Butterfly Project members already do. During term-time, the school will offer regular ICT training to its pupils, both during the school day and after, helping some to become programmers and games designers. Regular sports, athletics, netball, volleyball and football, will be provided. Children are encouraged to expand their vision, by engaging other leisure pursuits, to discover their passion and how they might focus this passion by becoming a changemaker. The Butterfly Project believes in play for young people and will include games (sports, boardgames and computer games) in both teaching and leisure time. 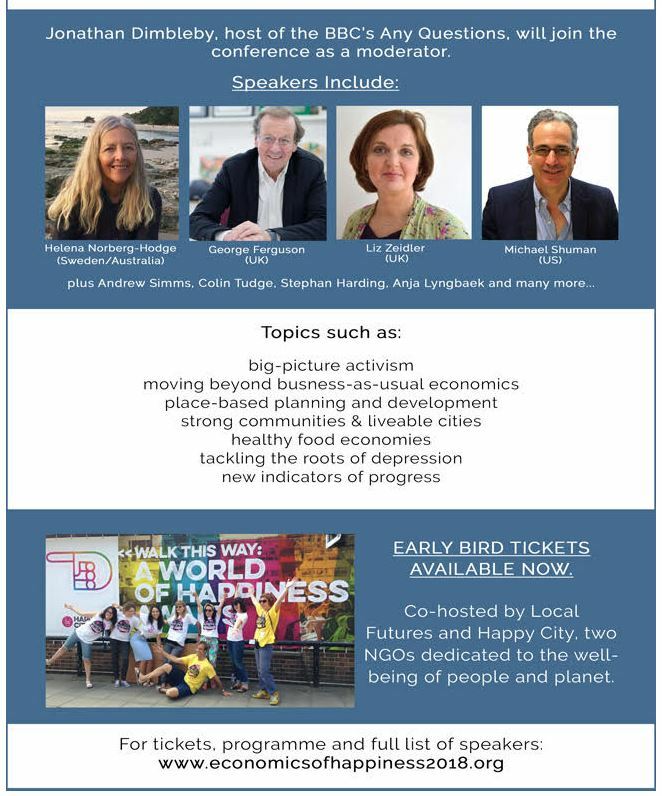 Christine Parkinson and others raise funds in UK via CYEN. The Sacred New Era (SNE) School provides holistic education to those in need. Founded by Shabir Banday, with the help of his parents, friends and supporters, the school opened in 2001 with 5 pupils aged 2½ & 3 years of different faiths and ethnic groups, from villages around Leh, and even further away. Progressive knowledge is offered. This does not mean abandoning the age-old culture but upholding the rich heritage and promoting it along with modern concepts. A Montessori approach encourages children from an early age to think for themselves and become aware. This school is different from general Ladakhi Schools and is growing because parents are realizing its beneficial qualities. It offers a unique education and is an example of diverse communities within Ladakh working together. The main difference between SNE and other private schools in Leh is that children and teachers are from Buddhist, Muslim and Hindu backgrounds. In addition to their general studies/subjects, they are also taught their own basic religious studies. They work and play alongside those of other Faiths, where friendship and knowledge can contribute to tolerance and understanding between faith cultures—so vital for our troubled world today. On 2nd July 2011, Denise Moll, Rachel Tolmie, Phillida Ball and Shabir Banday got together and founded SESOL Charity (SC041237) in Scotland. The primary aim of the charity is to help SNE School in India, and also to help disadvantaged communities in Scotland. In the latest newsletter, Shabir Banday and Denise write about challenges faced by the school. The government decreed that the school could only teach pupils up to 12 years, so the older class and 2 of the teachers had to leave (all have done well since then). The building, which had enjoyed a solitary life, was now being crowded in by much building of houses all round it, and they lost a crucial playground … building in Leh has accelerated almost as much as in Europe, with hotels popping up everywhere, some roads being tarmacked and many improvements made to attract tourists. The school building also was in need of some repair and decoration. Throughout this period, the teachers have been patient and understanding. It was a real test for their commitment to the school. They showed enthusiasm and belief in the school, its teaching and place in Leh with regard to other schools. They are all owed money as, during the unsettled period, payments were deferred. After much discussion and thoughtful consideration, they decided they themselves could not find a better school in Leh and banded together to do what they could to keep SNE alive and kicking. They donated spare time to making necessary repairs to the building and painted it from top to toe. Money had been put aside for the needed materials, and they prioritised this over their own pay which has amazed and awed Shabir’s family and myself! Whilst in Ladakh last year Shabir had meetings with a wider group outside the School about the piece of donated Government land on which it is proposed to build a new SNE School with greater facilities. First, a wall needs to be built round the land for protection, and the land levelled. He met with an architect to discuss a draft design for a new school building, and the architect, together with a small group will be seeking appropriate funding. 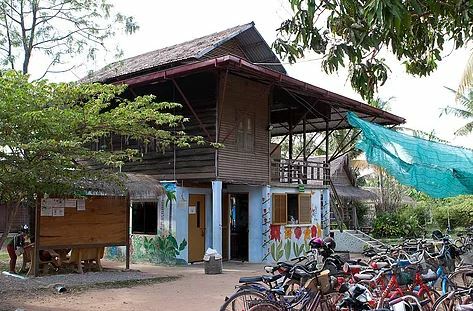 Grace House Community Centre works in several villages between Siem Reap and Tonle Sap. Little of the tourist dollar reach the families who rely on subsistence farming and fishing. Bridget Cordory (Chair) is one of the original founders of GHCC and managed the project in Cambodia for 8 years and remains actively involved with GHCC. Her husband, Alan, remained in Cambodia as Bridget returned to work in social care and the arts in Gloucestershire. At Grace House we strongly believe education and inclusion will improve the livelihoods of this generation and the next. Our programmes start from early years and continue through to further education. Sometimes poverty leads parents to place their children in orphanages; we support the families ensuring children remain in education in English language, health, leadership, IT, training electricians and craft and stay in the family unit. Starting with a converted Khmer house and 70 students GHCC has grown to educating 300 + students in 8 classrooms, a library, IT suite, electrician’s training room, 2 social enterprises, special needs classroom and small group home. In providing opportunities to learn vocational, craft and language skills, families will increase their ability to earn an income or run a business, enabling them to become self-sufficient. Educating the children in English Language and ensuring they receive a state education. Supporting families while learning new skills and setting up new business with the help of micro loans. Access to health care sanitation, clean water, dry homes and safe electricity. Encourage inclusion of children with special needs in Siem Reap Province by enabling them to receive specialist education and a safe, caring environment for respite and transitional care. 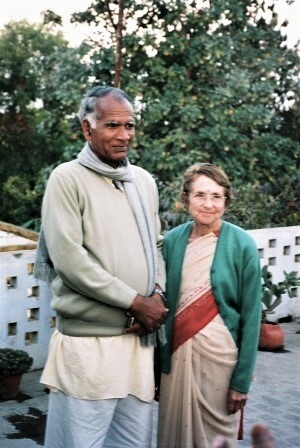 Australian born Jyoti and Mukat Singh set up the International Task Force for the Rural Poor [INTAF] twenty years ago after seeing that most well-intentioned policies of various governments to uplift the rural poor have either failed or proved ineffective. 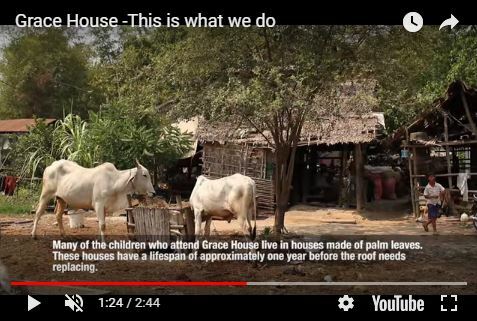 In addition to routine activities, connected with the school, polytechnic, eye camps and sustainable farming initiatives, VRI took part in a campaign against industrial pollution in and around the village of Amarpurkashi, covered here in 2011. Mill owners had been dumping live ash on the roadside where cyclists and pedestrians walked or rode and many suffered serious burns. Tons of ash from two paper mills were deposited on the banks of the river and by national highway 93, coating buildings and plants in a black dust, harming passersby and residents. As a result of breathing such heavily polluted air, local people developed respiratory problems – in the worst affected areas, as many as 1 in 2 people suffered from asthma. The stench of chemical effluents polluted the air of the surrounding villages and black dust from the factory chimney blew far and wide. The water table dropped dramatically as the factories used huge amounts of water and all the roadside ponds dried up. The underground water supply was also polluted, causing a rise in the number of people suffering from jaundice and villagers were forced to pay for ever-deeper borings to ensure a clean water supply. As part of the campaign, VRI’s co-founder, Mukat Singh, and many other local people fasted, an agreement was reached with the Sub-Divisional Magistrate and decisions were made which addressed the problem. “I am glad to say that everything I saw in the project supported it. Amarpurkashi is no longer a suitable place for volunteers, although visitors will always be welcome. “There is no longer anyone in the project who can guide and help volunteers. This has always been an important part of the scheme. Volunteers definitely need someone, preferably a woman since most of our volunteers have been women. However, that person has to be able to speak reasonable English and be able to help volunteers with the use of toilets and bathrooms, the food and various customs around eating and so on. There is no one now who can do that. “It is also essential that there is something for a volunteer to get involved in while they are in the project. However, the success of the project means that there is nothing now that a volunteer can do. The project is fully staffed with local people. Volunteers have always had difficulties because of the language barrier and significant differences in the way things are done in India”. She ended by saying that the scheme was closed at exactly the right time and adds that “Fortunately, there are many new projects to be found on the internet where volunteers from abroad can be recruited for specific roles”. We wish Jyoti and Mukat a peaceful and rewarding retirement. Read about their work on the VRI website. In 1931, during the depression, the Citizens Bank in the small U.S. town of Tenino, Washington, closed its doors after running completely out of money. As it only had one bank there was no longer any cash currency available for the exchange of goods and services. The Chamber of Commerce received permission from Congress to begin printing their own money. A committee was formed that included the town’s physician, Dr. Wichman, dentist Dr. Meyer, and Don Major, the publisher of the local newspaper the Thurston County Independent. After a few attempts with paper money, the Chamber decided to make currency out of wood, which was readily available. Major began printing pieces of temporary currency on thin, 1/80th-of-an-inch-thick pieces of “slicewood,” two strips of spruce, laminated, with a piece of paper in the middle. He started with 25¢ denominations, and later produced somewhat larger amounts, including 50¢ and $1. A number of other cities and towns across the U.S. ended up printing scrip notes or IOUs on slips of paper. 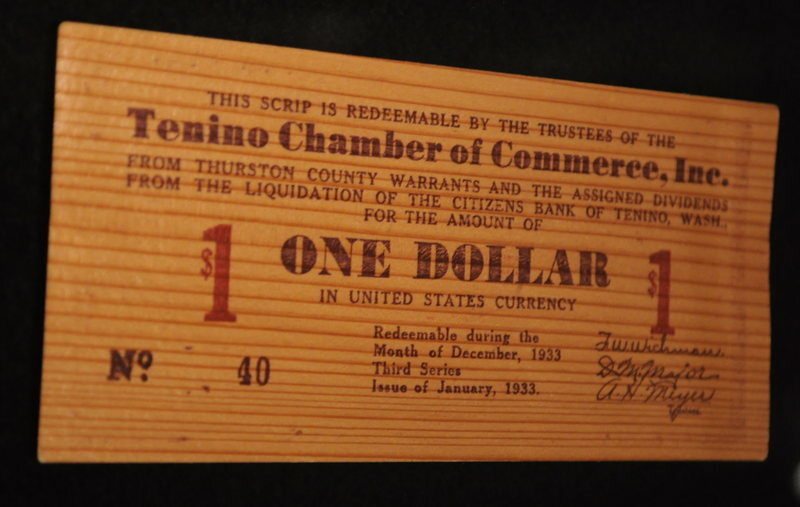 Even after the Depression had finally abated, Tenino’s tradition of wooden money survived. The town continued to print souvenir and commemorative bills, usually annually, to meet the demands of collectors. Word of the wooden money spread quickly, and soon requests from currency collectors across the country poured in. 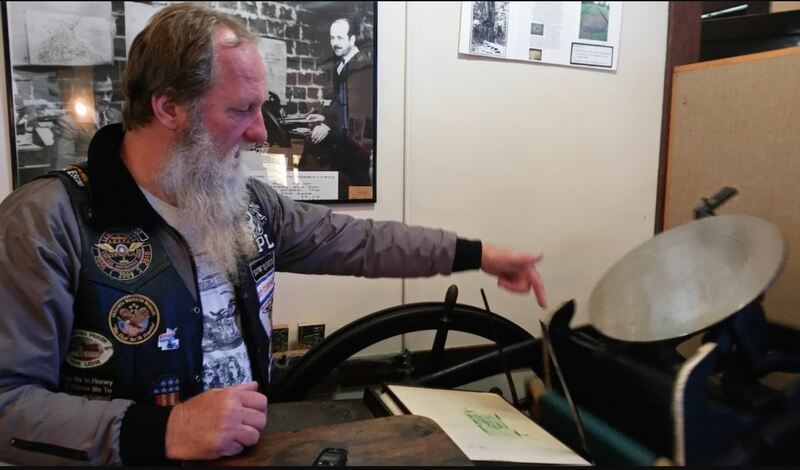 The Tenino Depot Museum, which now houses the original press, holds a number of “request letters” from people who would write to Tenino to see if they could get their hands on the unique currency. Loren Ackerman has been running the original printing press since the 1990s, when he took it over from the previous caretakers after they grew too old to operate it safely. “Running the press is… how should I put it… not OSHA-approved,” he says. “If you slip at all, you’re going to bite your fingers.” As he fires up the machine, he shares the history of the wooden money. Recently printed wooden money can be bought at local businesses. 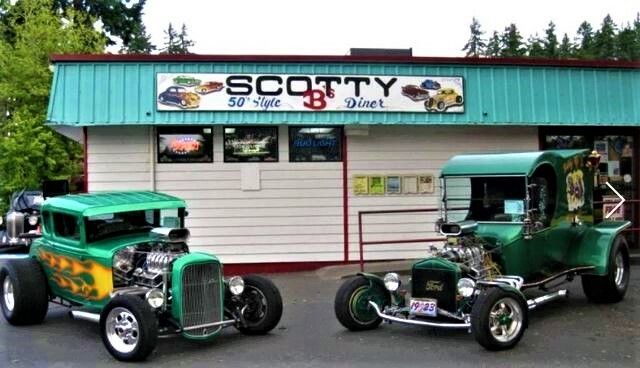 Anyone can walk in to a local ‘50s style café, Scotty B’s. and buy wooden money in denominations of $1, $5, or $10, to keep as a souvenir, or spend in town. It can be used at most of the local businesses as legal tender, as intended in 1931. Ackerman has taught one of his sons to use the press so that the tradition can continue when the time comes. Kenya is the first African country to develop geothermal energy. It is diversifying from hydropower, which currently provides most of Kenya’s electricity, because its capacity has been seriously reduced by the worst drought since the 2011 – and further droughts are anticipated. Geothermal energy comes from a mixture of water and steam under pressure drawn from nearly 2 km beneath the earth, in Kenya’s Great Rift Valley (above). It is providing reliable, cost-competitive, baseload power with a small carbon footprint. Only 10% of Kenya’s population has electricity for their homes, so this project will help more people to have a better lifestyle. 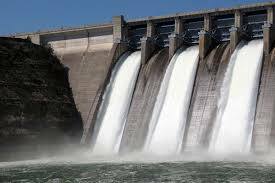 The energy is going to be used for household needs such as heated water and electricity. But as an employee of Kenya Electricity Generating Company said: “It is a clean energy, or green, because its carbon footprint on the environment is minimal”. which focusses on reforms and development across 10 key sectors. The state’s role is possibly deplored by the Climate and Development Knowledge Network , an alliance of organisations headed by PricewaterhouseCoopers, a powerful accountancy firm (one of the Big 4) with a chequered history. They conducted a study which found that Kenya has ‘put little focus’ on involving the private sector in risk mitigation – insurance? – and flows of significant private sector finance.